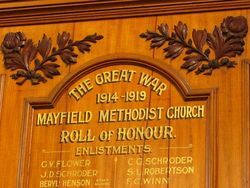 Mayfield Methodist Church Honour Roll commemorates those from the church who enlisted in World War One. 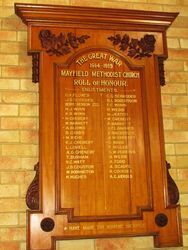 The Mayfield Methodist Church honour roll was unveiled on Sunday, after service conducted by the Rev. Wm. Stewart, who took for the subject of his sermon the words, "One is your master, even Christ, and all ye are brethren." 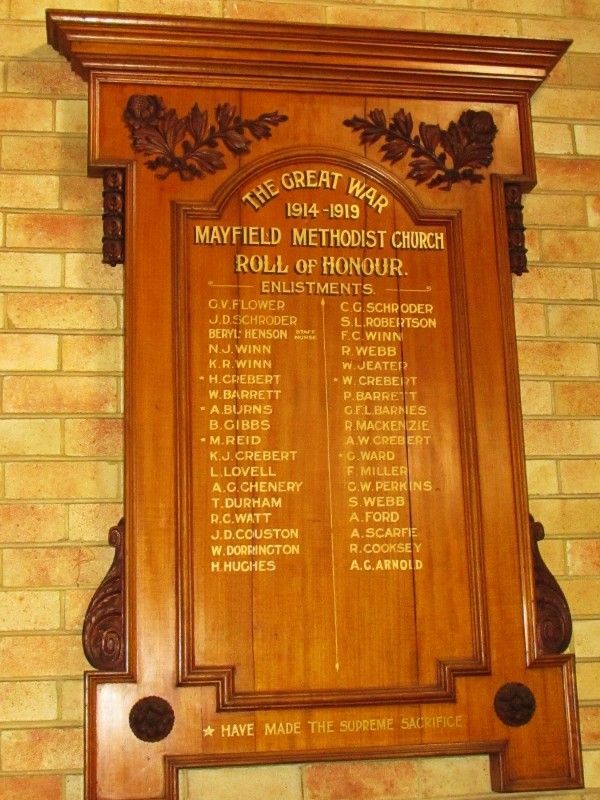 Mr. J. L. Payne, as secretary of the Four M's, stated that the society had undertaken to provide a permanent honour roll, and had pleasure in handing it over to the trustees of the church. Its workmanship was handsome, and the memorial not unworthy of the young men who had gone to help in the great struggle.